The Wizard test is optional. It is therefore only attempted by a small group of dedicated individuals. This certificate is rare and prestigious. 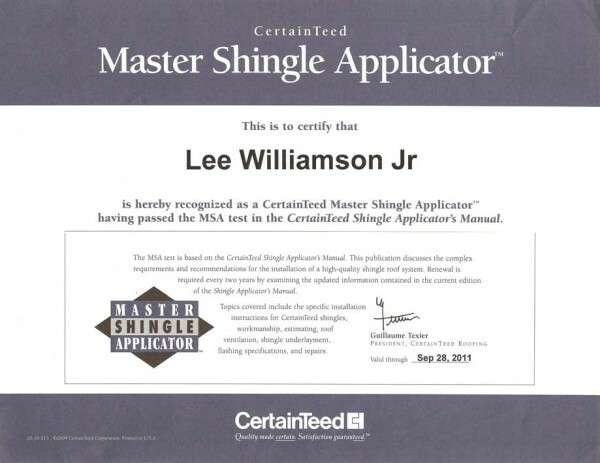 Topics covered include the specific installation instructions for CertainTeed Shingles, workmanship, estimating, roof ventilation, shingle underlayment, flashing specifications, and more. 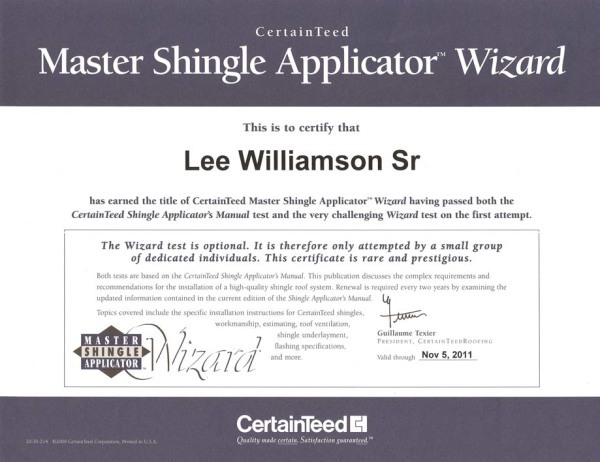 Interested in knowing whether you need roof repairs, and if so, the cost? We offer free roofing inspections in the DFW area – to request yours, just fill out the form on your right!